At Challis Community Primary School, we are driven by a relentless desire to create opportunities for every child in our community. Opportunities that inspire big thinking, opportunities that provide choice, opportunities that lead to a healthy life style and opportunities that create belief in a bigger, brighter future. The opportunity to learn a musical instrument and experience singing in a Choir has been embraced excitedly by the children, their parents and the school staff. The Don’t Stop the Music Documentary, “How Music came to Challis” is an amazing opportunity for the children to be immersed in a musical experience that may kick start some big dreams and open endless possibilities. Filming continued well into 2018 in preparation for Episode 1 which aired on the ABC and ABC iview on Sunday 11th November. Challis music teachers Simon Blanchard and Jocelyn Campbell continued to be mentored by Micheàl McCarthy. One of Australia’s leading music educators. Micheàl worked tirelessly with Simon and Jocelyn and our Challis Performance Choir preparing them for the “Don’t Stop the Music Celebration Concert”. The results were evident during their amazing performances on the night of Wanjoo My Friend, I am the Earth and Siyhamba accompanied by Micheàl’s very own WAPPA Choir “Eneksis. Micheàl continues to mentor Simon and Jocelyn with weekly visits to the school and via skype sessions. Micheàl has played an integral part in guiding Challis staff through the introduction of morning music each morning and afternoon in place of the siren and community singing to each classroom. Challis music teachers and classroom teachers were also visited and mentored by Dr Anita Collins on several occasions over the course of 2017 and 2018. Anita is an award winning Educator and Academic in the field of music education. In particular, the impact of music on cognitive development. Anita left a lasting impression on all Challis staff and children leaving staff with many tips on how to introduce music into their daily classroom activities. Challis children were fortunate enough to receive visits from music mentors Dr Anita Collins, Guy Sebastian, James Morrison and George Walley in preparation for the DSTM Celebration concert held at the Perth Concert Hall on 25th May. The concert was an astounding success and the children overcame their fears, showed resilience and embraced the opportunity to perform with professional musicians in front of their families, teachers and special guests. Weekly lessons in Brass with Ms Michelle Wilde, Violin with Mrs Rachel John, Cello with Ms Stephanie Jefferies and guitar with Mr Ziggy Atwell continued throughout 2018. Whilst the Salvation Army continue to provide all brass lessons the strings component was funded by Bekids for the remainder of 2018. The wonderful team of Joan Peters and Julia Hayes are working with us and for us to secure sustainable funding for the strings program to continue and expand in 2019 and beyond. Congratulations. What an interesting television series, concluding with your performance. On the last night I watched all your faces - each one beautiful in it's own special way - and listened to you play and sing while hardly breathing I was so excited by you all! By the time you finished your playing at the Concert Hall I was still sniffing tears. I was emotionally moved by the performance, your interviews, during which you expressed yourselves so honestly, including your tears of anxiety which showed how sensitive and brave you were, and the excitement of your teachers. Please will you congratulate your school teachers, the two famous teachers, your interviewer and photographic team for me. The whole series was a triumph of education for us all. I am eighty-three years old. After watching you all do what you did so earnestly and well, I went to my computer, looked up your school and then some research on the importance of singing and playing an instrument for the health of our brains, no matter what our age. The next day I decided to join a choir and take up playing a keyboard. What a thrill. I wonder how many other youngsters or oldies where triggered to do something, be something, support someone or something, because of watching you. And how many, because of what they did, then also were triggered to do something and so through the community. My experience tells me there will be many about whom you will never learn. But that's what each one of you did - gave to the world. You terrific young students! Thank you, thank you, thank you. - but when a heart is full of delight, that means love of what or who caused it, don't you think? Dear Lee, Congratulations on an amazing presentation to launch “Don’t Stop the Music”. It was wonderful to see those beautiful children and to hear the profoundly significant things you had to say. If only we could have more principals with vision. I look forward to seeing the next 2 programmes and hearing about the impact this must surely have. Good Luck. 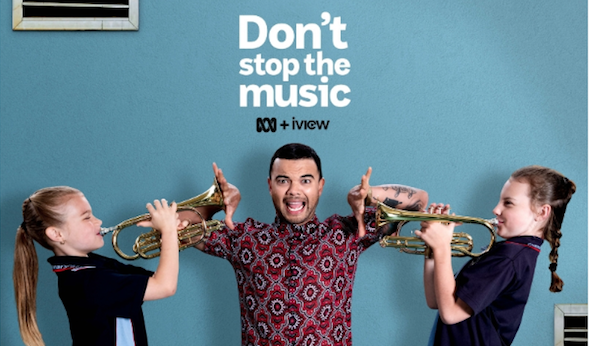 Here is the link to an abc interview with Lee Musumeci, following part two of"Don't Stop the Music" being viewed on the ABC on Sunday November 19th. Guy and Jules Sebastian, through the Sebastian Foundation donated $4,000 to Challis to purchase Christmas Hampers for familes who needed support at this time of Year. After many years working on children’s projects in Kenya, we have an opportunity to improve the lives and academic results of children in Australia. It is well known that our brains change when listening to music, but now, thanks to neuroscience, we know that our brains change massively in response to music education training. Be Kids is helping children with no musical training to access music teachers. When the brain is trained for music it is also primed for language, maths and higher logic. Thus noticeable improvement in academic results follow music education training. For over a year, Be Kids has been working hard to help Challis Primary School, Armadale, Western Australia, to improve the music education training opportunities for their students. The children at Challis School, Armadale are the focus of a national documentary “Don’t Stop the Music”. In the movie we see children go from never having seen a musical instrument, to playing in a concert at Perth Concert Hall May 2018, after just 9 months of classes. Superstar mentors Guy Sebastian and James Morrison, with the help of WAAPA and UWA Conservatorium of Music, The Salvation Army Brass, Musica Viva, Artemis Media and Be Kids, made the concert an outstanding success. But we don’t want to ‘stop the music’ with only one school, we want to work together with partners in the community to bring Be Kids Music Box opportunities to local schools without music training programs. The Challis Community Primary school teachers have noted improved attendance at school, enthusiasm to learn and a boost to the students’ self esteem. Early results from academic performance reviews are already impressive and the Challis school teachers are very excited to experience what is happening. There is a new air of excitement, hope and expectation in the school and the community. We want this to continue. Now that we know that academic results no longer need to be determined by postcode, we understand that giving children access to music education training changes their life opportunities by changing their brains. DON’T STOP THE MUSIC ! Hopefully schools will change their emphasis to include music education training as a pathway to academic success. If you have any questions about donations, please read our Privacy & Security statement. Remember: Donations over $2 are tax-deductible within Australia. 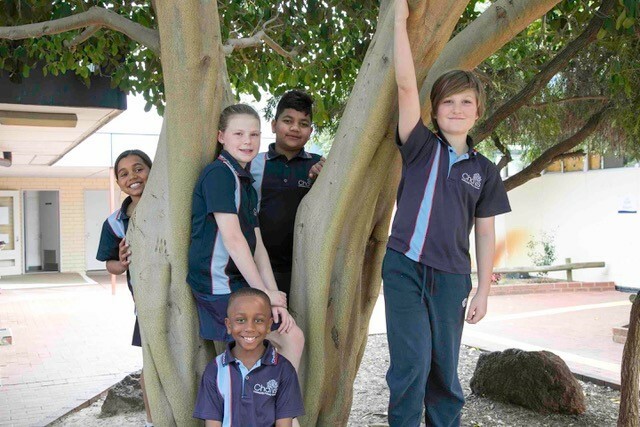 Challis Community Primary School have received wonderful support from Bob and Heather Hope, The Anglican Parush of Kelmscott, Lucy Kimber, M Deguara, Nick Melidonis, John Enever, Marilyn and Phemie Cacavas, Helen Turner. Margaret Papst from Melbourne called. Margaret worked at Challis for a short period in 1984 as a Psychologist. She wanted to congratulate the school on a wonderful program, and to say that she had enjoyed watching DSTM. She was very concerned for young Samuel, and was happy to see that he was progressing well.